naomijadex5 - lifestyle, beauty and cuteness! : 2 new coats & hello kitty! How was your weekend? Mine was nice! I was going to update about it, but I want to share with you what I bought over the weekend, too. 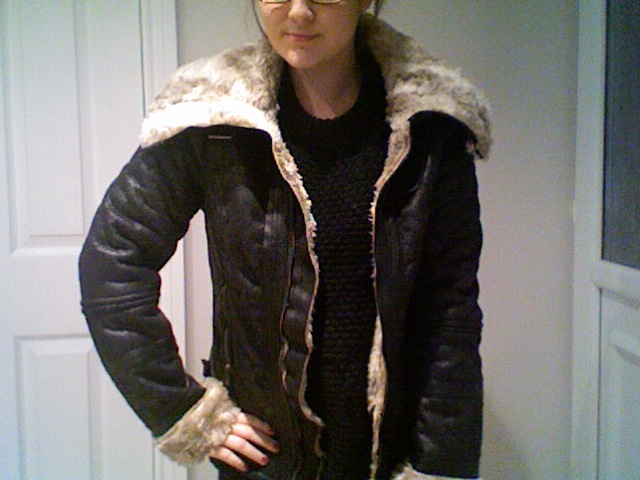 New jacket from Bershka!! I love Bershka, it's one of my favorite shops. When I saw this & it was only £39.99 I just had to get it. My new Hello Kitty flask, bought from my favourite sanrio chinese store from china town. :) I believe this was £14? I bought this coat from a chinese ebay store. It came this weekend & I'm so happy, I think it's so cute. It was £14 including delivery. That's all :) What coats do you have this winter? When was the last time you purchased an album?! I was very busy this weekend and now start a week back at work. Only 2 more weeks left before me and my boyfriend go home to Sheffield for christmas! I actually bought two CD's recently myself for the first time since Lady Gaga's Born This Way. Aww, those socks and the flask are so cute! 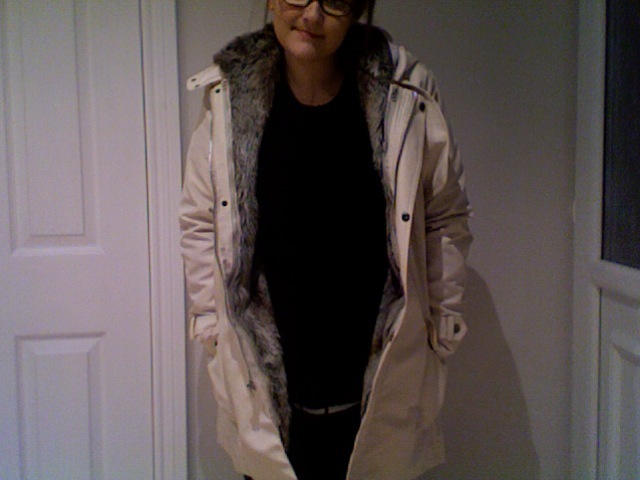 I LOVE the Bershka coat, it looks so warm! 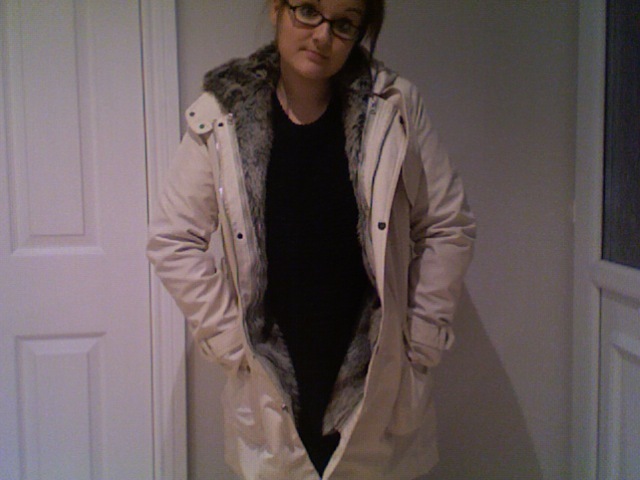 I have my Dorothy Perkins fur trimmed coat ala Blair Waldorf on Gossip Girl and a Next trench.. I also have my leather jacket if I'm only travelling by car! awww i quite like taylor swift! some of the songs are soo good! aww love the socks!